Digital marketing isn’t as easy as it may sound. Way too many proclivities are hidden behind it. Getting involved in digital marketing is more about ‘management’ and less about ‘marketing’. Being a digital marketer, you need to be good at it to see the clear, bigger picture. That’s where you can use your management skills. Digital marketing skills alone won’t make things easier for you. You would need to understand the project flow and how-to-manage-team. Make a plan, stick to it! Always remember to work according to priorities, which is why you need to create a plan. Though it sounds so easy, most of the time it’s not and those who take it for granted miss out on important details. This is where you can make use of a template—create a plan! Draw out a formal template for everything you need to manage the project, and work accordingly. Include the project flow in it right from beginning to planning and then executing to closing the project. 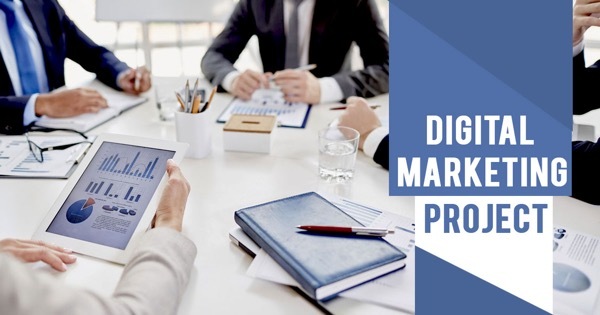 Over the internet, you can find many professional qualifications that a digital marketer can undertake to drive their career towards better future. Some popular courses are APMP and CAPM course. By achieving a certificate, a candidate can possess the ability and knowledge to undertake any digital marketing project. These courses are available through online classes or classroom settings. Take some time out of your busy schedule to give it a try. You’ll be able to learn a plenty of skills including a system base method, globally recognized certificate, best-practices of project management and the ability to meet client’s expectations and goals. With the whole buzz around machine learning, automation, and the preferences, you can utilize various software and tools present online to enable you out in dealing with your projects better. At a reasonable costs, automation of your digital advertising projects is simple than ever. With the advantage of finding a one-stop-solution for every one of your marketing automation tools, you get the advantage of monitoring each detail that you may require for your business’ development. Features, for example, planned tweets and mass posts allows you to send as much updates as you want your customers to get, without worrying about whenever limitations. Other benefits include entire client administration, content recommendations and inputs, online networking analysis, and much more. Success is determined by measuring it correctly. It’s important that you monitor different metrics of the project and look at the goals. Have you gained more traffic or more email subscribers? At times, you get infatuated for metrics that are less impactful to your business, which should be at all cost avoided. Brightpod, an online software, allows you to monitor each stage of the project. Since there are plenty of tasks on a single projects, it’s better to use such software that can help you break down each part for better picture. A major part of digital marketing project revolves around the usage of SEO tools to bring the client’s website among top search results. This is where a digital marketer can make use of Google Algorithmic Updates. This is only one example. He/she can implement the tools only when they are aware of all the new updates in digital marketing field. You can also consolidate your skills into the project management qualification you need to impact your career using the diploma in project management by RMIT University. With these quick and simple examples of learning and building up an advanced digital marketing project, we’re certain you’d now be capable of working towards creating and managing one soon. Good luck! Previous: Samsung Galaxy Note 8: Release, Rumors, Deja Vu?